New Delhi: Actor Rishi Kapoor, who was shooting for Rajma Chawal in the national capital, has rushed back to Mumbai to be with his family after the demise of veteran actor-producer and his uncle Shashi Kapoor. 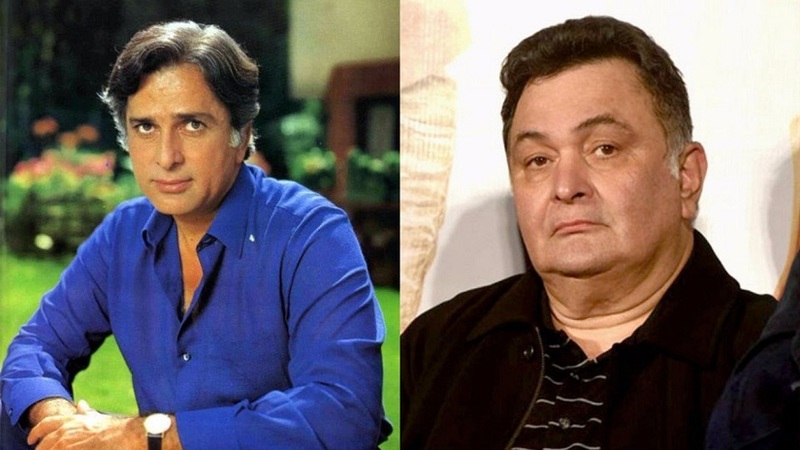 Shashi Kapoor-Rishi Kapoor. Images from Twitter. Shashi Kapoor, the romantic screen icon of the 1970s and early 1980s, died on 4 December at Kokilaben Dhirubhai Ambani Hospital in Mumbai. He was 79. “We are the airport looking at the flight schedule, and want to reach Mumbai at the earliest. We might go tonight or tomorrow morning,” Shanti Malik, who works closely with the Kapoor family, told IANS on Monday evening. Malik also said that he doesn’t know the cause of Shashi Kapoor’s death, and would be in a position to give out details on Tuesday morning. He started acting in films as a child in the late 1940s. His best known performances as child artist were in Aag (1948) and Awaara (1951), where he played the younger version of the character played by his elder brother Raj. When he grew up, he made his debut as a leading man in the 1961 film Dharmputra, and went on to appear in more than 150 Hindi films. Shashi Kapoor, whose nuanced acts in memorable films like Deewar, Satyam Shivam Sundaram, Trishul and Kabhi Kabhie captivated Hindi film buffs, was married to English theater actress Jennifer Kendal. He is survived by three children — Kunal, Karan and Sanjana Kapoor. Up Next: Gopichand’s Back-to-back Disappointments!